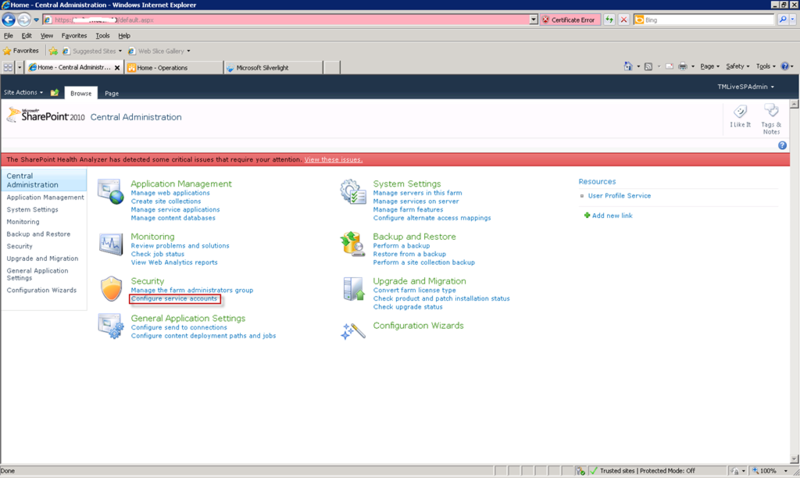 Error: System.Configuration.ConfigurationErrorsException: The Web Part cannot access the configuration list. This is probably caused by insufficient permissions. Contact your system administrator. 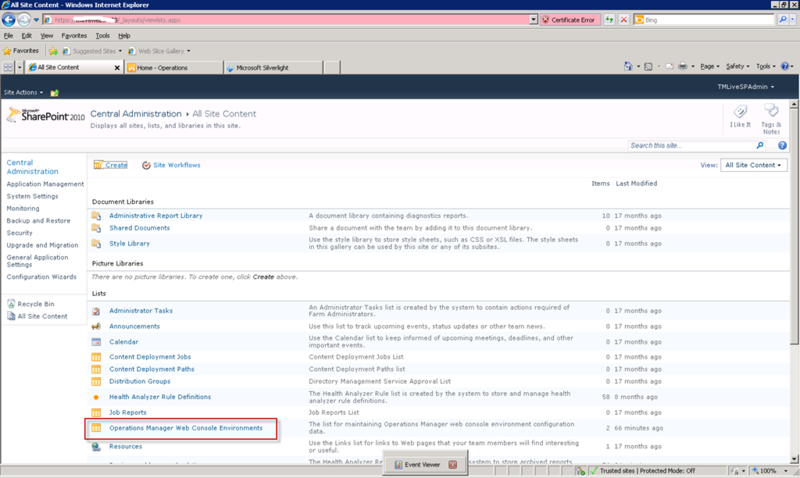 So, first things first was to ensure that the account that the SharePoint Application Pool is running under has access to the SharePoint List created by the Web Part installation in the Central Administration Site. Following this I expected this to work OK. However, I just got a little further. 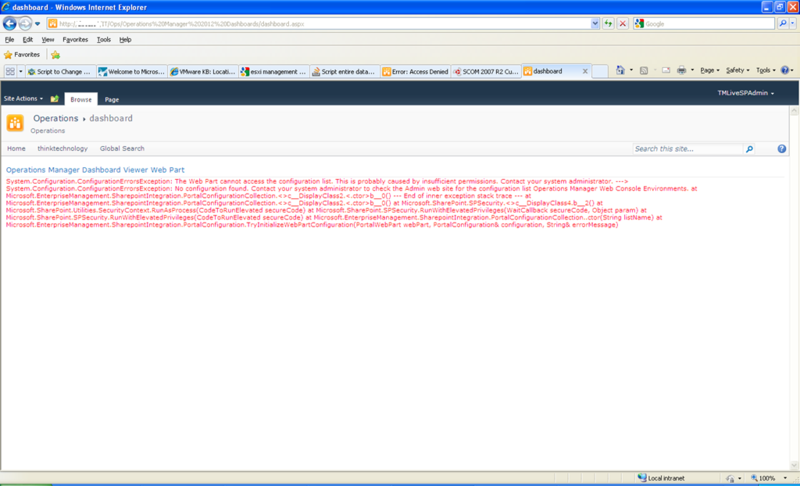 I was now getting the same error before, but this time in the SharePoint site. 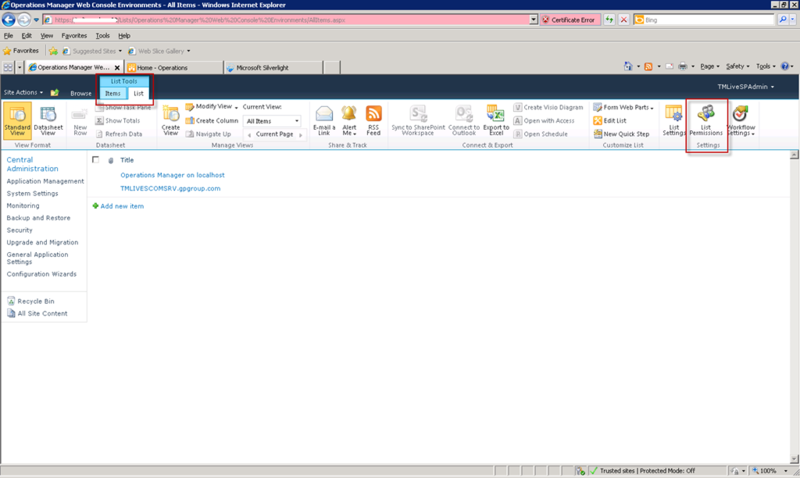 After a little more digging around in the SharePoint databases I found the problem. The issue was to do with the account that the Web Application was set to run as not having permissions to execute a particular stored procedure – that being the proc_EnumLists stored procedure. I granted my user account the required permissions, and her presto I was able to configure the Operations Manager web parts, and successfully render my Dashboard in SharePoint. 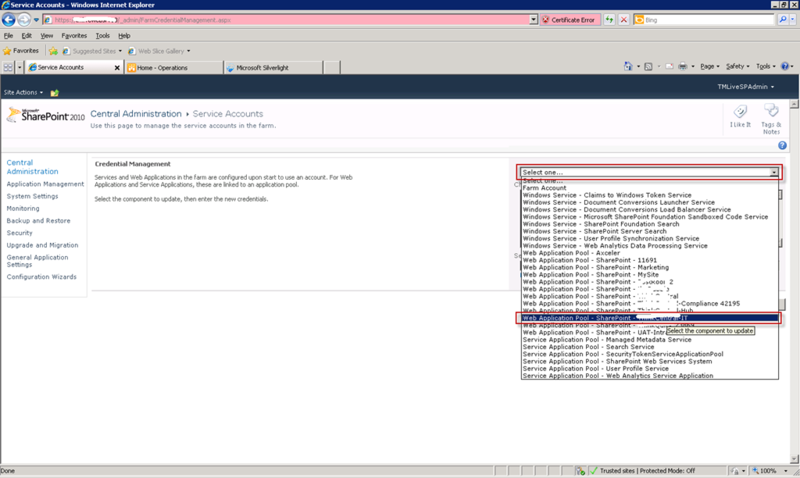 Hi Shaun, WE’ve experienced a similar issue – is the location of the proc_EnumList SP within the Central Admin DB on SP2010? The proc_EnumList stored procedure is located in the WSS_Content database (in my lab environment at least. 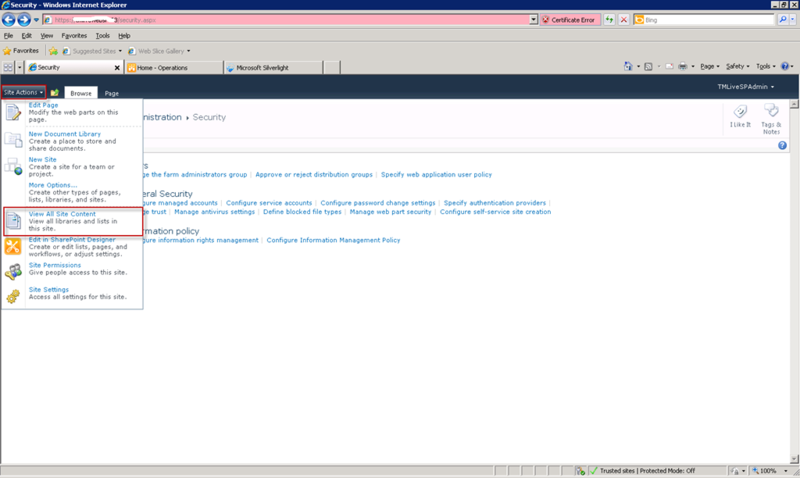 I had to give permissions to the stored procedure located in the Central Admins DB. 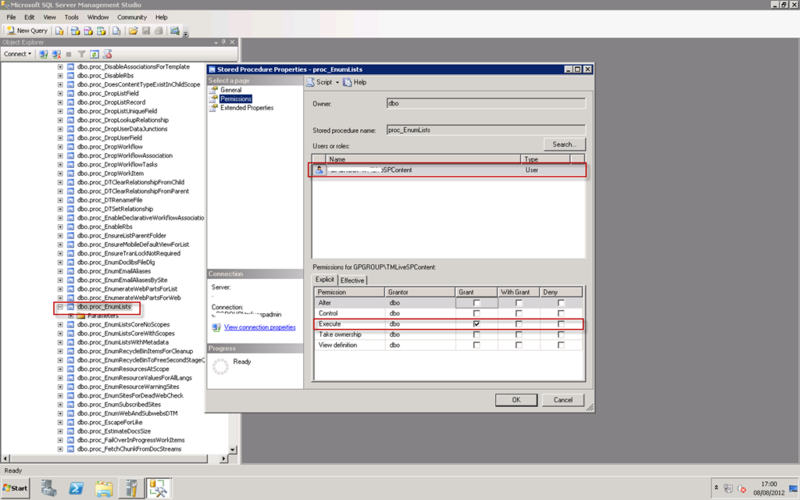 Execute Permission for proc_EnumList stored procedure in Central admin content DB, since web application app pool have limited access to centrald admin db ( it don’t have permission to this stored proc in central admin DB). but I really hesitate to do any modification to DB directly since it may void the Microsoft support. but it is a nice work around though. 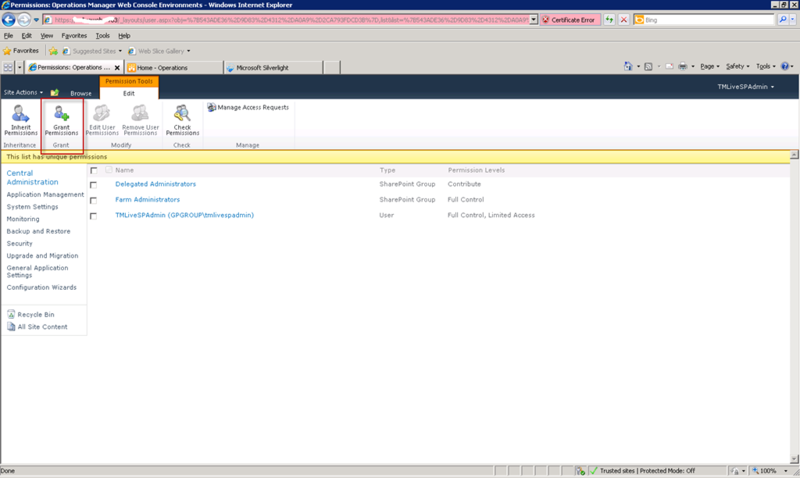 Next SCSM Reports not rendering?